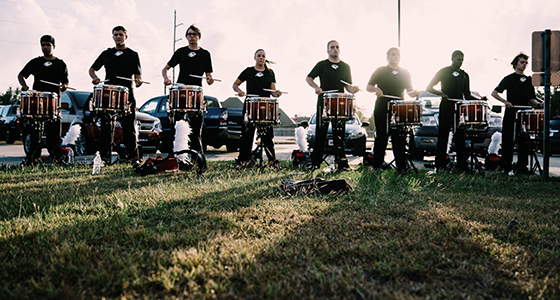 The Lamar University Percussion Studio is a vibrant, talented, and supportive community of musicians. 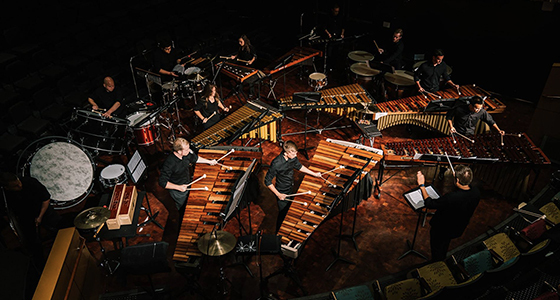 With nearly 30 percussion majors and minors, the goal of the LU percussion curriculum is to develop musicianship, technical proficiency, cultural awareness, and technological literacy in both performance and pedagogical fields. Here at Lamar University, we have everything you need to become a complete percussionist. 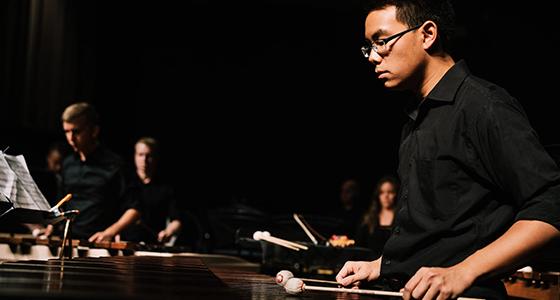 Regardless of degree concentration, the undergraduate student will maintain regular study of snare drum, keyboard percussion, and additional areas based on individual goals and needs within the enriching lesson structure. 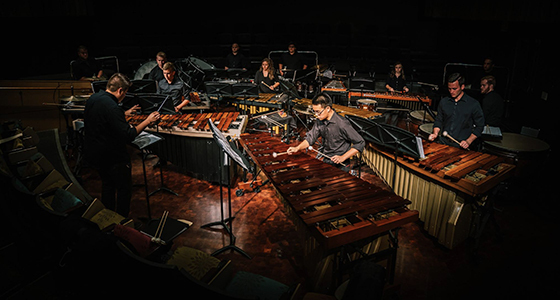 The LU Percussion Studio provides professional-level opportunities and experiences for all students that foster growth through self-discipline, creativity, and entrepreneurship. 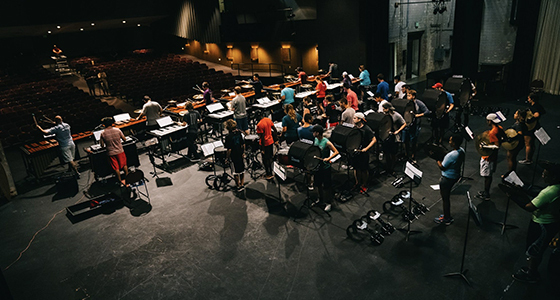 Our talented and diverse faculty has a significant footprint in the state, national, and international percussion community. 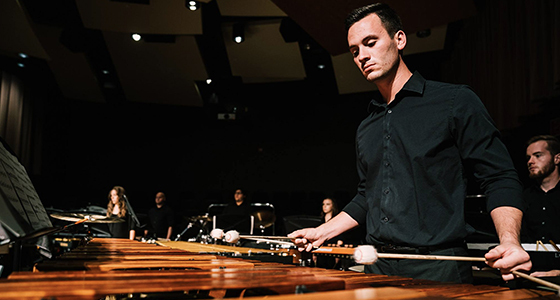 During your time at LU, we will cover every aspect of the percussive landscape, including orchestral percussion and timpani, solo repertoire, chamber and percussion ensemble repertoire, drum-set, world percussion, and marching percussion. We offer the following degrees: Bachelor of Music (leading to teacher certification), Bachelor of Music in Performance, Bachelor of Music in Composition, Bachelor of Arts (in Music), and a Master of Music in Performance or Education. If you are interested in auditioning, please refer to our Application and Auditions page. 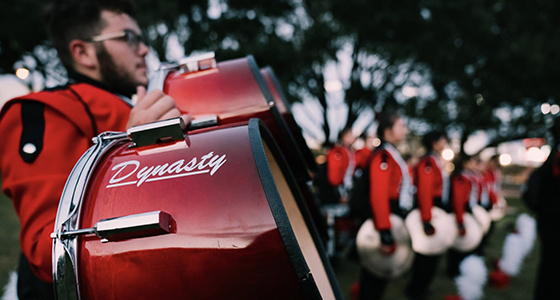 Showcase of the Southeast Drumline: If you are a non-music major but would still like to be a part of the drumline (battery or front ensemble), please refer to our Marching Band page for audition materials!